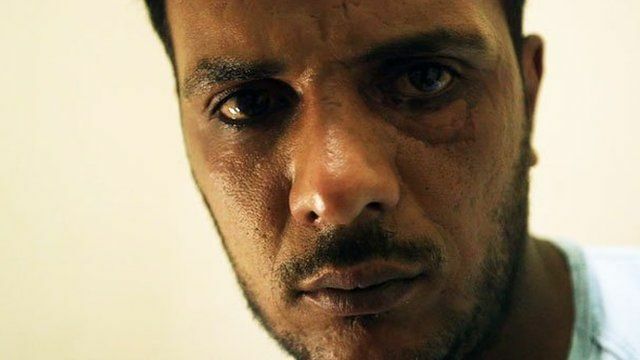 Syrian 'cannibal' defends actions Jump to media player A Syrian rebel commander who provoked outrage and horror when he was filmed taking a ritual bite out of an enemy corpse has spoken to the BBC about what led him to carry out the atrocity. Sharia law spreading in Syria Jump to media player The mother of Mohammed Qataa has described how her son was killed by armed men who claimed a joke he had made was blasphemous. 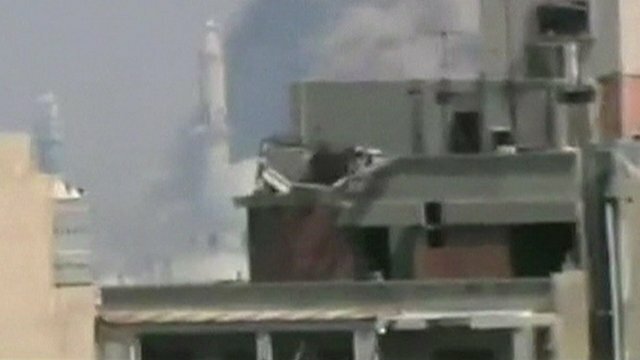 Air strikes shake Syria's Homs Jump to media player Syrian government war planes and ground forces have struck at rebel-held districts in the city of Homs, activists say. 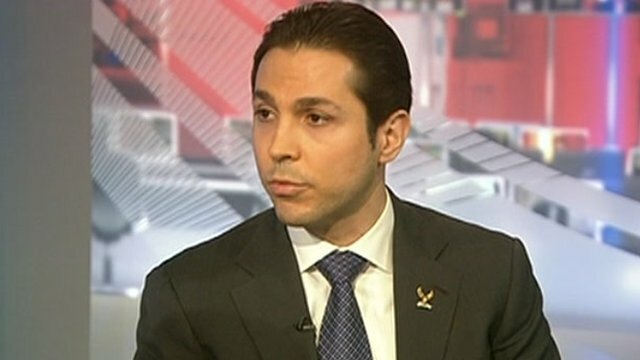 Assad cousin on Syria's future Jump to media player The first cousin of Syrian President Bashar al-Assad tells the BBC's Katty Kay the US should think twice about arming Syrian rebels - or risk birthing a theocracy. 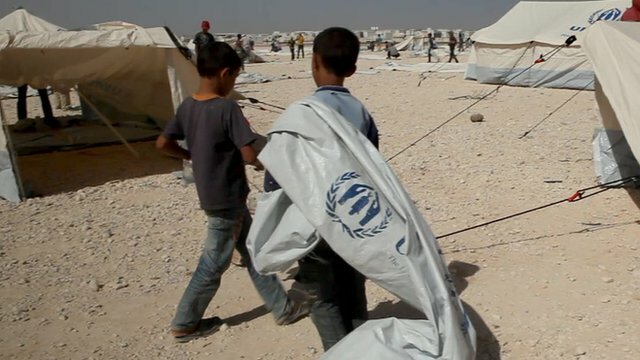 Syrian child refugees' trauma risk Jump to media player Is enough being done to prevent Syrian child refugees becoming a lost generation? 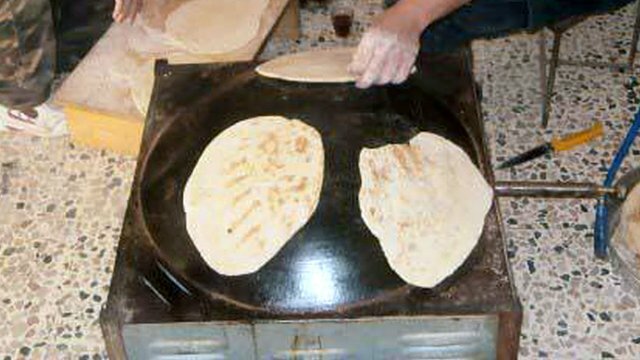 'Syria fighters sell arms for bread' Jump to media player The fighting in Syria has had a devastating impact on the country's economy and currency with some estimates putting the cost of the conflict so far at $85bn (£55bn). Jolie asks leaders to end Syria war Jump to media player Actress and UN special envoy Angelina Jolie calls for world leaders to end the conflict in Syria. A Syrian rebel commander who provoked outrage and horror when he was filmed taking a ritual bite out of an enemy corpse has spoken to the BBC about what led him to carry out the atrocity. Abu Sakkar, who has been called the "cannibal rebel" has been cited by President Putin as one of the reasons he believes the Syrian rebels should not be armed. Paul Wood and cameraman Fred Scott have been talking to Abu Sakkar in northern Syria.